Stern and Lemmens, two Toronto Law Professors, have joined forces in a scathing denouncement of medical ghostwriting in the August 2 PLOS journal. (1) The two law professors cited a 1944 Supreme Court case dealing with ghost writing, Hazel-Atlas Glass v. Hartford-Empire Co. (1944). In this patent dispute case, the Supreme Court was fooled by a ghost written trade article presented in defense of a patent. A few years later, when Anti-Trust litigation revealed that the article had been “ghost written”, the Court overturned the patent decision, and ruled that ghost writing in the trade literature amounted to a “fraud on the court”, and the lawyers who had used the “ghost written” article were disbarred from practice. (2) This same concept applies to the pharmaceutical industry. 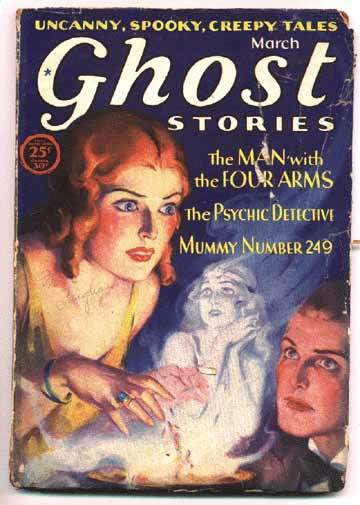 Above left image: Ghost Image on cover of old comic book courtesy of wikimedia commons. 3) Paxil (paroxetine), an SSRI antidepressant found to be no better than placebo for most patients in treatment for depression, and also found to cause suicidal impulses (5,6). Primary Care Update for Ob/Gyns 1999; 6 (2):39-45. Fillit, M. The Role of Hormone Replacement Therapy in the Prevention of Alzheimer Disease. Arch Intern Med. 2002;162(17):1934-42. Birge SJ. Practical Strategies for the Diagnosis and Treatment of Alzheimer’s Disease. Clinical Geriatrics 1999 7(4):56-74. Sherwin BB. Mild Cognitive Impairment: Potential Pharmacological Treatment Options. J Am Geriatr Soc. 2000;48(4):431-41. Brincat M, Baron Y, Galea R. Estrogens and the Skin. Climacteric 2005;8(2):110-23. Freedman, MA. Quality of Life and Menopause: The Role of Estrogen. J Women’s Health 2002;11(8):703-718. Bachman G, Leiblum S. The Impact of Hormones on Menopausal Sexuality: a Literature Review. Menopause 2004;11 (1): 120-130. Bachmann GA. Menopausal Vasomotor Symptoms: a Review of Causes, Effects and evidence-Based Treatment, J Reprod Med. 2005 Mar;50(3):155-65. No author listed. Generic and Therapeutic Substitution. National Pharmacy Compliance News 2000;4th quarter:2-3. Mosca L. Hormone Replacement Therapy in the Prevention and Treatment of Atherosclerosis. Curr Atherosclerosis Reports 2000 Jul;2(4):297-302. Rackley CE. New clinical markers predictive of cardiovascular disease: the role of inflammatory mediators. Cardiol Rev. 2004;12(3):151-7. Lobo R, Whitehead M. Is Low-Dose Hormone Replacement Therapy for Postmenopausal Women Efficacious and Desirable? Climacteric. 2001 Jun;4(2):110-9. Maddox RW. The Efficacy and Safety of Low-dose Hormone Therapy. US Pharmacist 2004 (June). The above are fraudulent ghostwritten articles were “planted” into the medical literature. (4) They were written by paid authors from Designwrite, and academic “opinion leaders” were selected to lend their name as author to sway the opinions of others. These “opinion leaders” are all guilty of “Fraud on the Court”. Bioidentical Hormones are safer and more effective than synthetic chemically altered hormones. 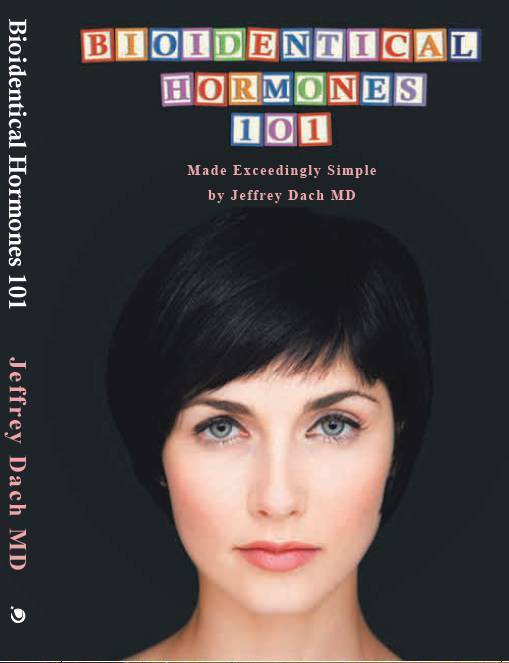 Smart women have abandoned synthetic hormones, and have turned to bioidentical hormones as safe and effective. What convinced them? 1) The revelations of ghostwriting in the HRT literature. 2) The many medical studies showing synthetic hormones cause cancer and heart disease. 3) The many medical studies showing safety and efficacy of bioidentical hormones. 4) The decrease in breast cancer rates of 9% in the years 2003-2004 after the WHI study was terminated early because of increased breast cancer in the Prempro group. Bioidentical Hormones and Medical Ghost Writing, the Latest Scandal Why is My Doctor Opposed to Bioidentical Hormones? 1) Stern, Simon, and Trudo Lemmens. “Legal remedies for medical ghostwriting: imposing fraud liability on guest authors of ghostwritten articles.” PLoS Med 8.8 (2011): e1001070. 2) Hazel-Atlas Co. v. Hartford Co., 322 U.S. 238, 64 S. Ct. 997, 88 L. Ed. 1250 (1944). 6) Culpepper, Larry, et al. “Suicidality as a possible side effect of antidepressant treatment.” Primary care companion to the Journal of clinical psychiatry 6.2 (2004): 79. 7) Bosch, Xavier, Bijan Esfandiari, and Leemon McHenry. “Challenging medical ghostwriting in US courts.” PLoS Med 9.1 (2012): e1001163. 9) Schofferman, J., F. T. Wetzel, and C. Bono. “Ghost and guest authors: you can’t always trust who you read.” Pain medicine (Malden, Mass.) 16.3 (2015): 416. 13) Bosch, Xavier. “Exorcising ghostwriting….” EMBO reports 12.6 (2011): 489-494. The post Medical Ghostwriting Deemed a Fraud on the Court appeared first on Jeffrey Dach MD.